It was in October 2008 that Mark became serious about fulfilling a long time desire to start a search team in Eastern North Carolina. With guidance from friends and other search team members from across the State, he began to make his vision a reality, and the Coastal Carolina Search Team (CCST) was officially formed. It is based out of Bell Arthur, NC. One of the first cornerstones of the team was to create a mission statement. Mission Statement for Coastal Carolina Search Team: The CCST is an organization of all volunteers who train and dedicate their time to assist in the location of lost or missing persons at the request of local law enforcement agencies and at no cost to anyone for the services provided. On November 6, 2008, CCST became recognized by the Office of the Department of Secretary of State of North Carolina as a non-profit organization. Coastal Carolina Search Team received its tax exempt 501 (c) (3) status on March 6, 2009. The team conducted its first official meeting in December of 2008 with 4 people present for the meeting. In January of 2009 the team met and established the first working Board of Directors for the team. Current Board members for 2019 are: Benny, President, Terri, Vice President, Tabatha, Treasurer, Dave, Secretary and Donna, Member. In the first year of operation CCST joined the North Carolina Search and Rescue Advisory Council, of which Mark became a K-9 evaluator in order to assist with evaluating K-9s across the state. Mark and K-9 Daisey were among the first group of K-9s evaluated by NC SAR Council evaluators and were successful in receiving the trailing certification. The team is also recognized by the North Carolina Office of Emergency Management as a resource for searching for lost or missing persons. 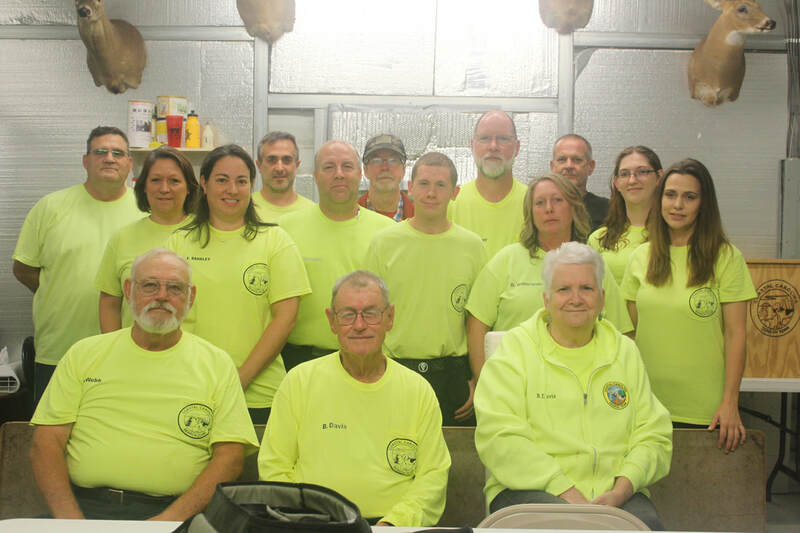 The team also occasionally sponsors the FUNSAR (Fundamentals of Search and Rescue) class and the SAR TECH II exam both offered by NASAR. Benny is active as an instructor for the North Carolina Land Search Field Team Member class, which is the state equivalent course to the NASAR courses. As of January 1, 2019 CCST has 21 members on the roster. CCST holds a monthly meeting on the first Friday night of each month at 2534 Bell Arthur Rd, Greenville, NC 27834. Night training follows the meeting. Training sessions are also held the third Saturday of every month. CCST is always open to accepting new members. If you are interested in attending one of our monthly team meetings, please submit the form found in the "Join Us" link. Please browse our site for other photos and our team's participation in special events. CHECK OUT OUR SPONSOR PAGE. THIS IS A LIST OF ORGANIZATIONS, INDIVIDUALS AND BUSINESSES THAT HAVE DONATED FUNDS TO HELP US REACH OUR BUDGET FOR 2019. PLEASE SUPPORT THEM WHENEVER YOU CAN.